The return of Datsun didn't start with what cars to launch, but with the people, the Young Risers living in high-growth markets. They are ahead of the curve, waiting for that one chance that will propel their careers and futures. For the young risers, mobility is both physical and social access to opportunities. They deserve nothing but a brand of their own. 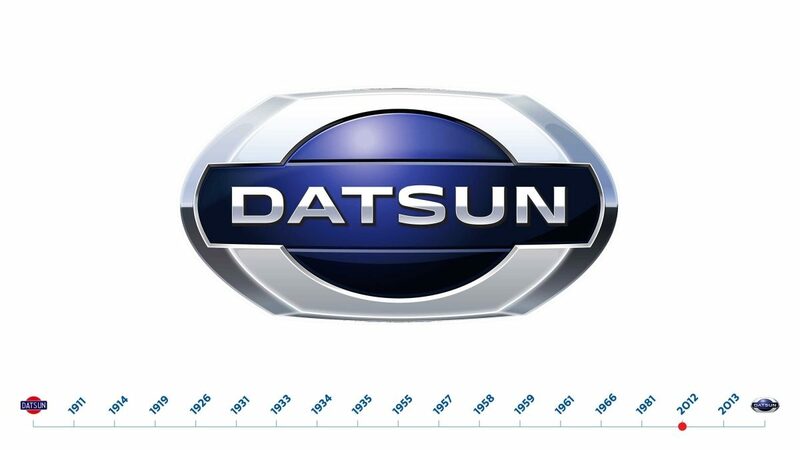 That's why Datsun is returning and rising as the badge for the risers. 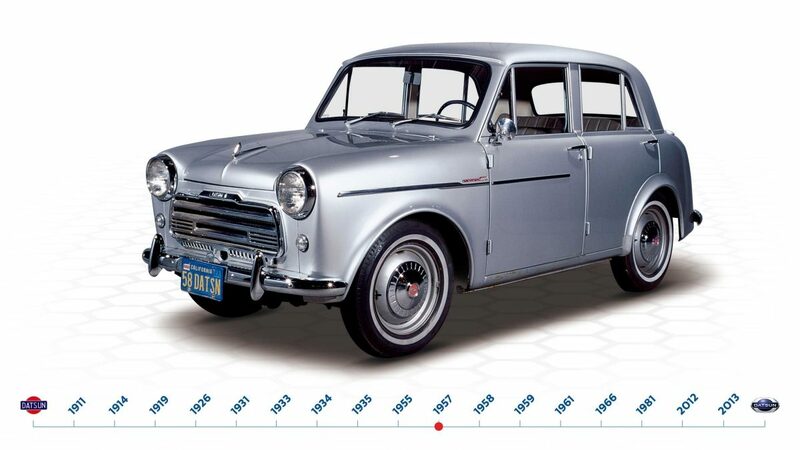 The Datsun brand dates back to the earliest days of Japanese car building. 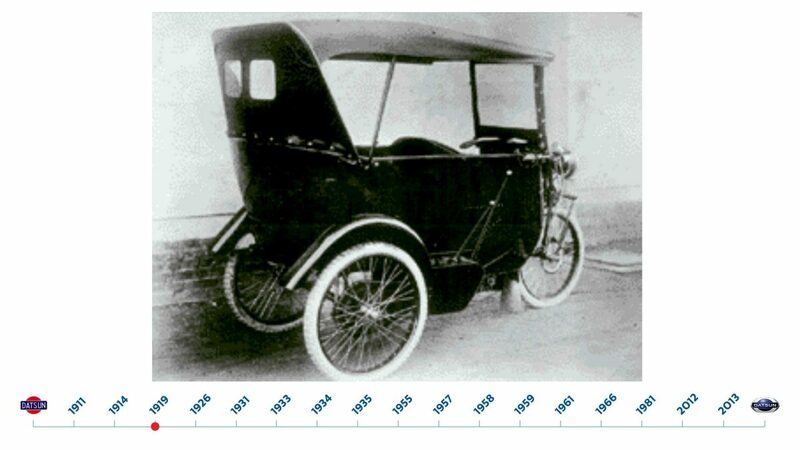 Datsun evolved to become an automaker recognized as Durable, Attractive and Trustworthy. More than 20 million Datsun vehicles were sold in 190 countries during its more than 50-year run. A brand supported and loved by many worldwide, this is the spirit the new Datsun brings to young risers. Turning risers' investment into inBestment. To allow risers to love what they need, and especially as first new car investments, we need to screen everything to be modern solutions, and not constrained by segment conventions (ways to buy, cars, services, ownership). 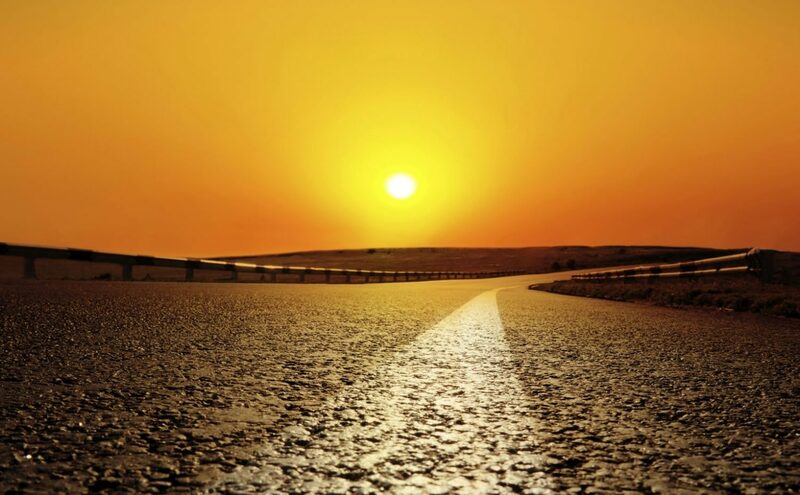 Risers need access to opportunities that drives them to their dream. Hence we ensure that everything is friendly, inviting and easy from the buying experience to owning. Not just accessible price. 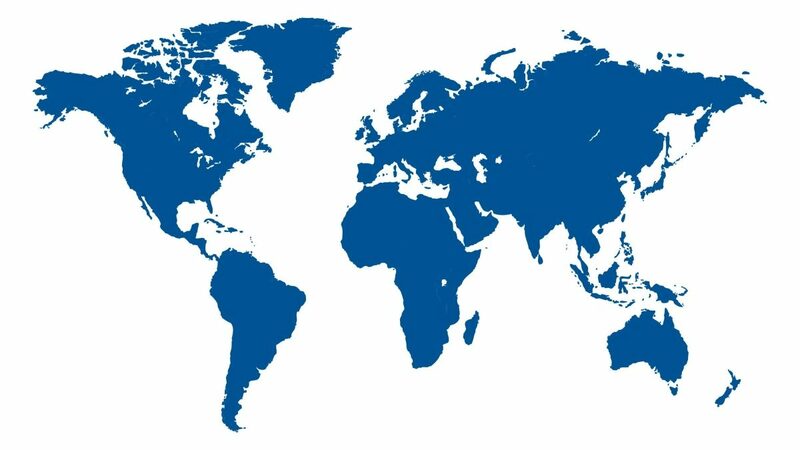 Lastly assuring risers' way ahead by reliability, durability and quality, from global expertise and leveraging from our roots. automaker recognized as Durable, Attractive and Trustworthy. 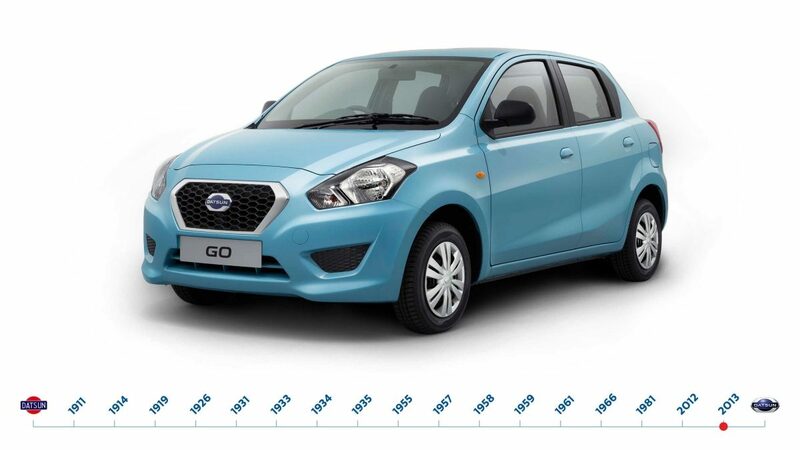 More than 20 million Datsun vehicles were sold in 190 countries during its more than 50-year run. A brand supported and loved by many worldwide, this is the spirit the new Datsun brings to young risers. Our heritage and guiding principles are reflected in the badge of the Risers. 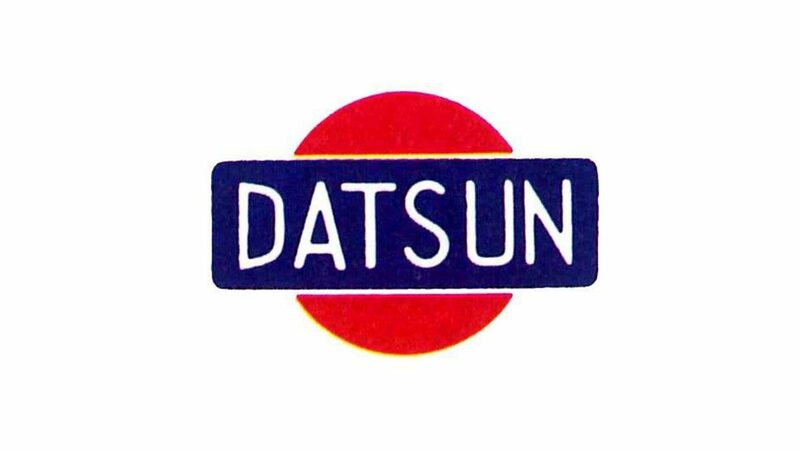 Honoring the spirit of an earlier Datsun, the center portion retains the essence of the original logo. Surrounded by a hexagon inspired by shiny bolts, the rest of the badge conveys a modern robustness and the confidence to succeed in a new world. The Datsun Way is about a rewarding and enjoyable relationship for risers starting from purchase on through the ownership experience. 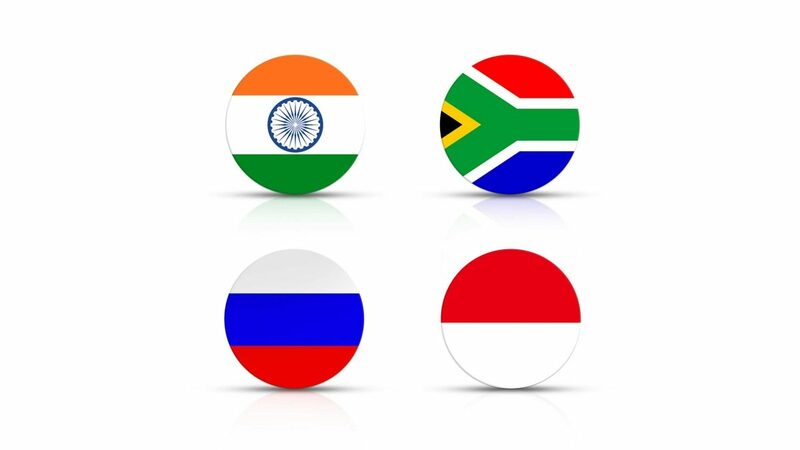 Datsun is about producing a locally built, relevant brand, drawing from the company's global technological know-how and expertise in engineering and styling - going global to glocal! 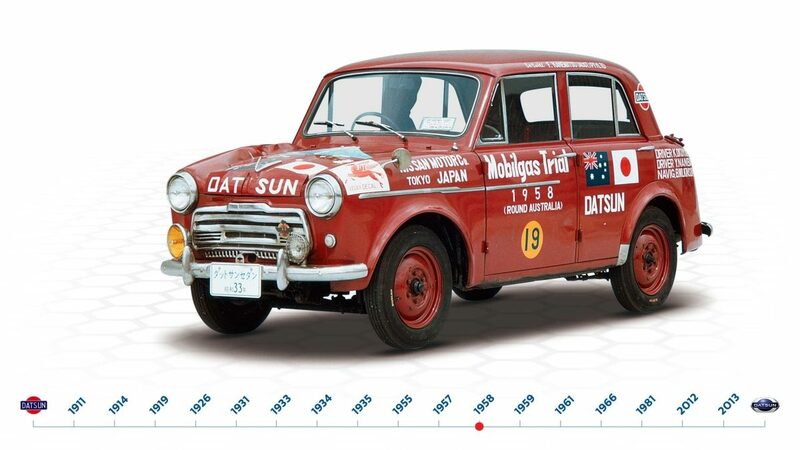 Explore the evolution of Datsun, from its beginnings in Japan to its status as one of the best-loved brands of the 20th century. 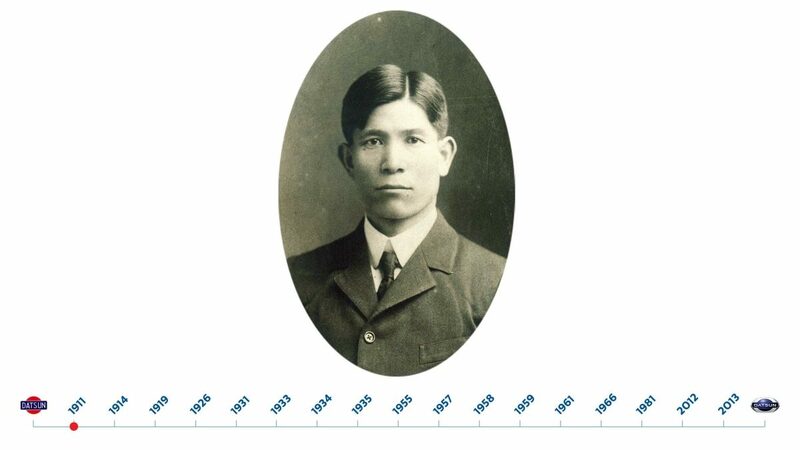 Japanese engineer Masujiro Hashimoto establishes the Kwaishinsha Co. in Tokyo's Azabu-Hiroo district. 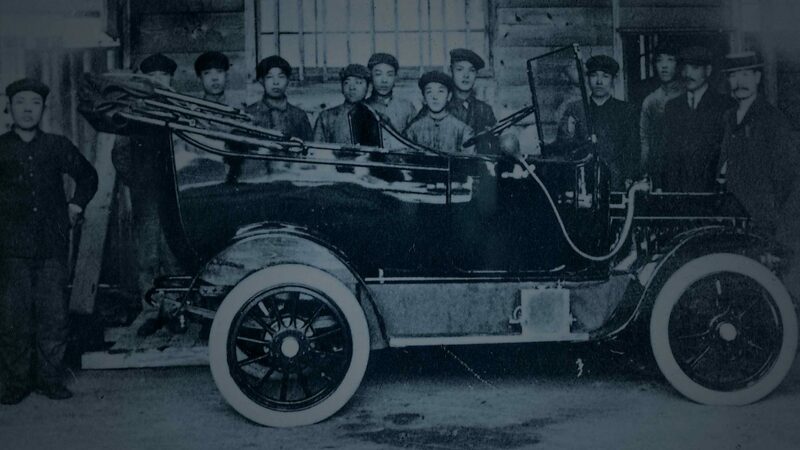 Kwaishinsha launches a car built for the streets of Japan and wins the bronze prize at the Taisho Exposition in Tokyo. The DAT-Car (DAT-GO in Japanese) is born. 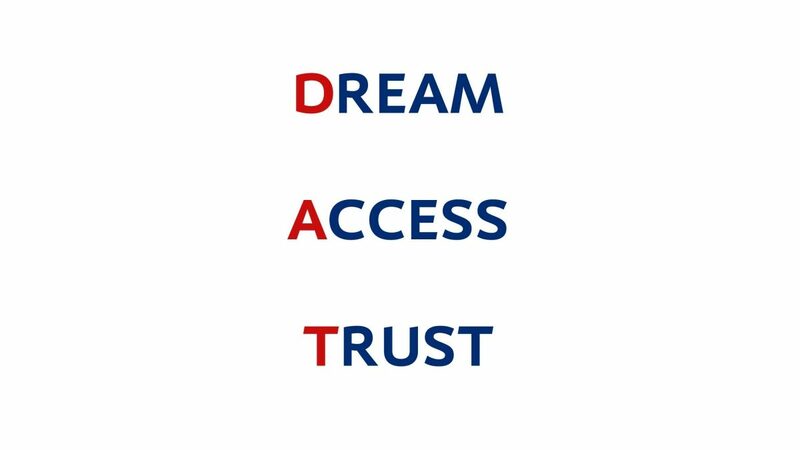 The first initials of the company's three investors form the company name and mean “Lightning fast.” DAT also stands for the company's guiding principles: Durable. Attractive. Trustworthy. 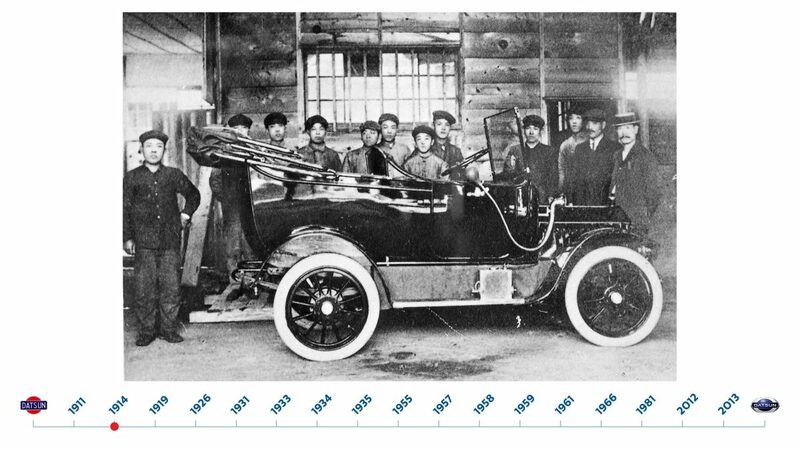 In Osaka, the Jitsuyo Jidosha Seizo Kaisha (Practical Automobile Manufacturing Company) is established, manufacturing three-wheeled vehicles designed by American engineer William Gorham, a key figure in the future Nissan Motor. Hashimoto's Kwaishinsha Co. merges with Jitsuyo Jidosha to form DAT Jidosha Seizo Company and creates the first single-body casting four-cylinder engine. 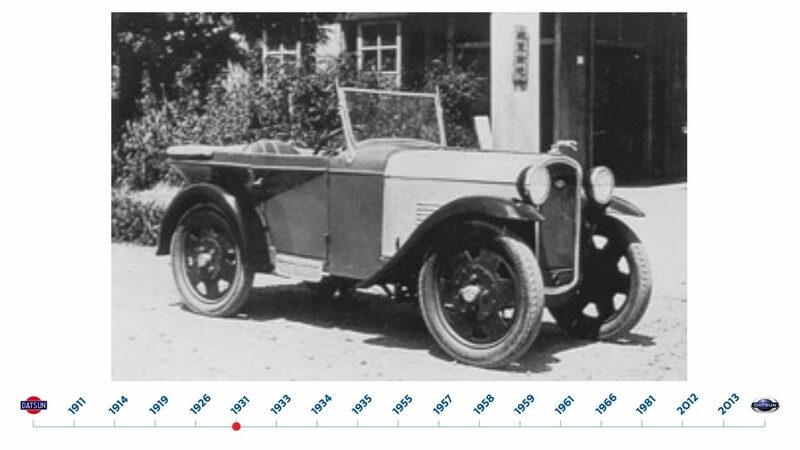 Jidosha Seizo Co. (Automobile Manufacturing Co., Ltd.) is established, taking over all the operations for manufacturing Datsun cars from the automobile division of Tobata Foundry Co. Its first model is the Datsun 12. 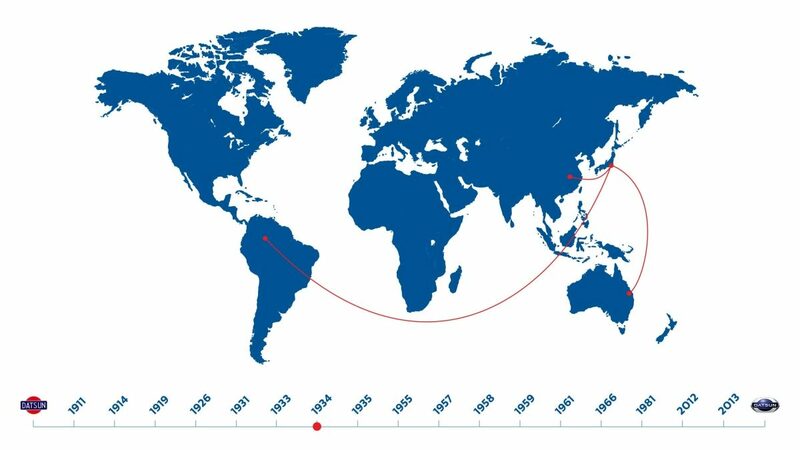 Jidosha Seizo Co. becomes the Nissan Motor Co., Ltd, the name taken from an abbreviation of its holding company “Nihon Sangyo,” or “Japan Industries.” Datsun begins export to Asian countries, Australia, Latin America and other countries. 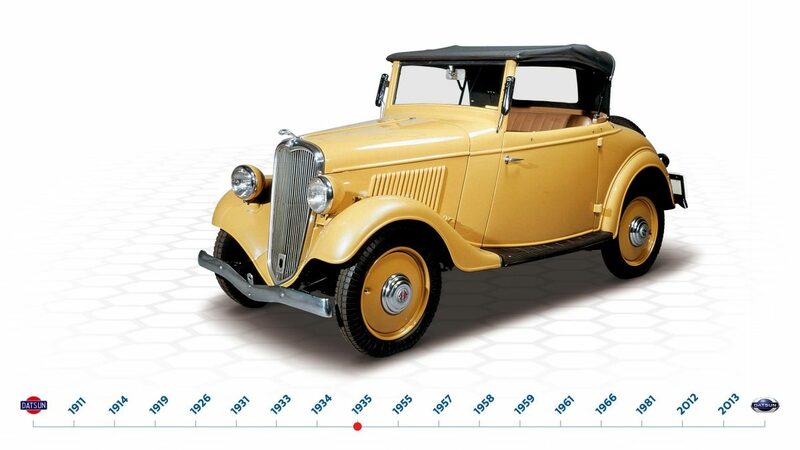 Nissan Motor inaugurates Japan's first mass production plant for automobiles at Yokohama, and the Datsun Model 14 rolls off the assembly line the same day. Mass production not only transforms Nissan, but also the way vehicles are made in Japan and throughout the world, and has a profound effect on the Japanese economy. 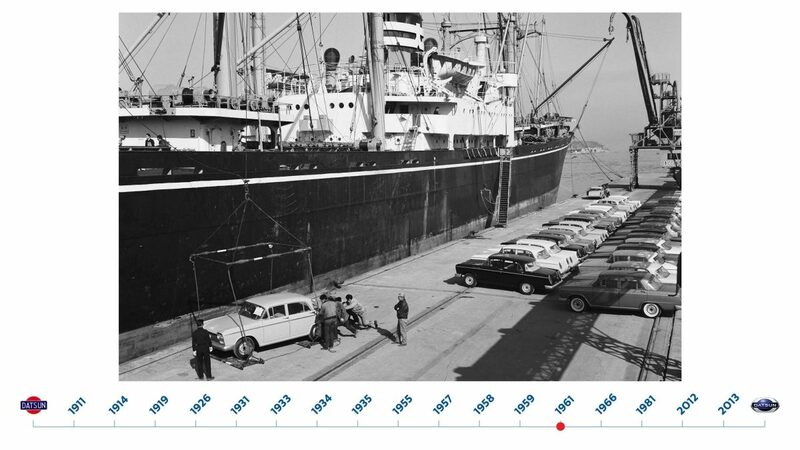 The Datsun 110 – the first all new passenger car produced since the end of the war – debuts, and wins the Mainichi Industrial Design Award. 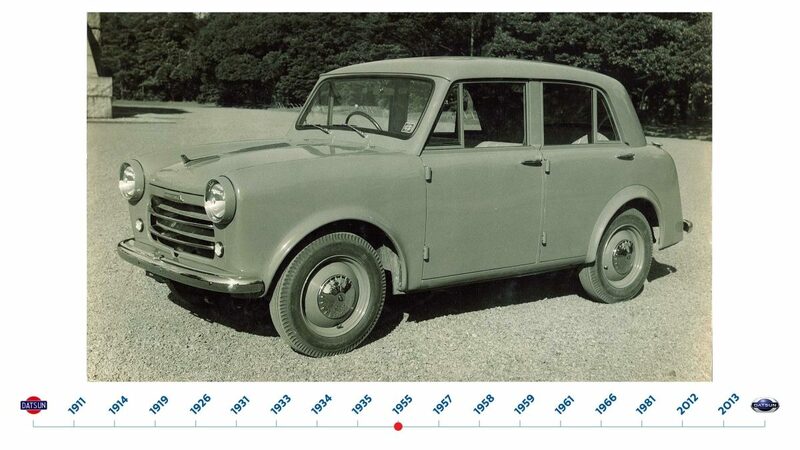 The Datsun 1000 (model 210) is launched, featuring new technologies adopted from a tie up with the UK's Austin Motor Co. 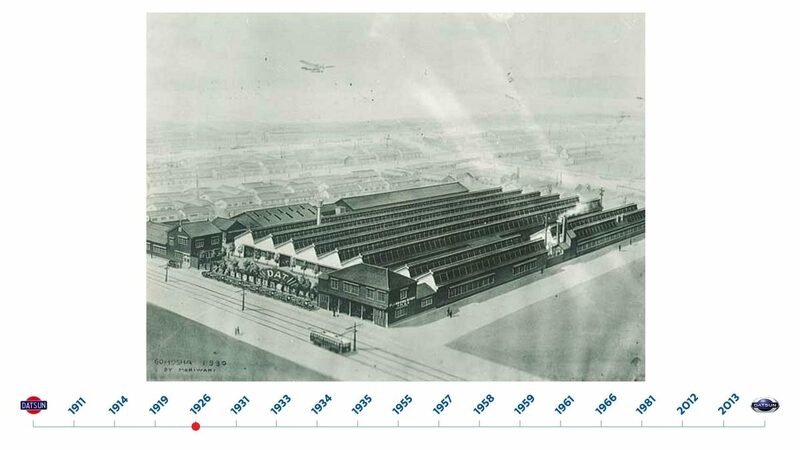 The 210 begins export to the U.S. a year later. To prove the durability of Datsun, head of marketing Yutaka Katayama enters the 210 in the toughest endurance rally of the time – the Australian Rally Championship. It wins best in class and opens the door to legendary Datsun performances in rallies across the world. 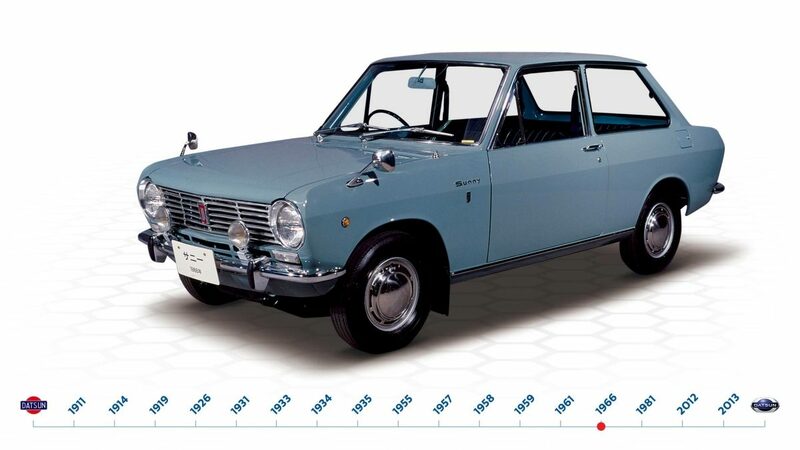 The first Datsun Bluebird 310 is launched. 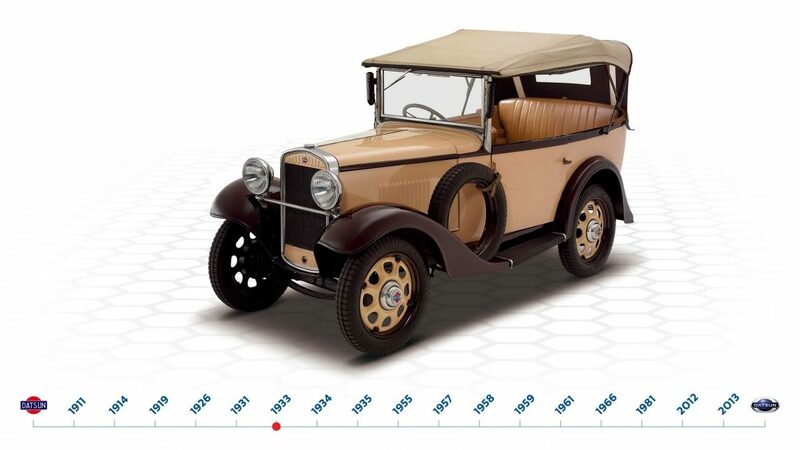 A completely new passenger car, the iconic model goes on to set world standards for sales, fuel efficiency and emissions, and helps shift the Japanese market from fleets to private ownership. 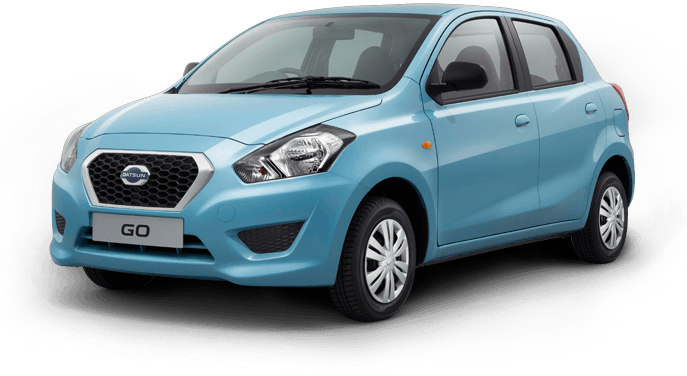 Datsun starts expanding globally with the start of operations in Oppama Plant in Japan and establishment of Nissan Mexicana S.A. de C.V. 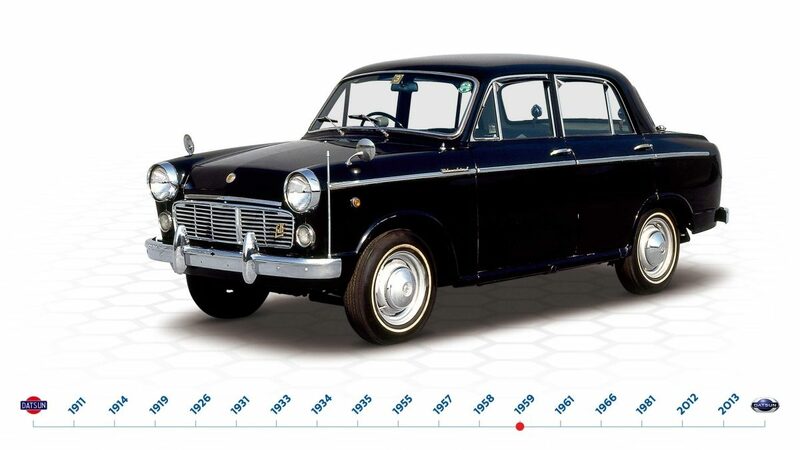 The Datsun Sunny B10 launches – its name chosen from among 8.5 million suggestions from the public. 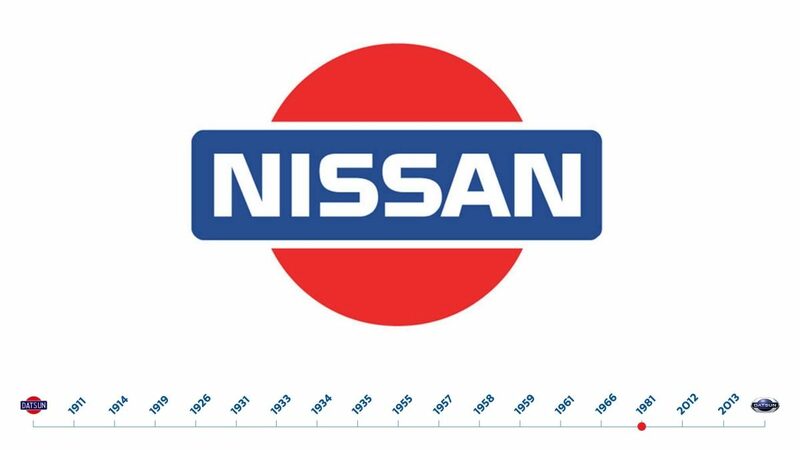 After selling 20 million cars in 190 countries around the world, the Datsun brand is phased out, and the Nissan name is used as the company expands globally. 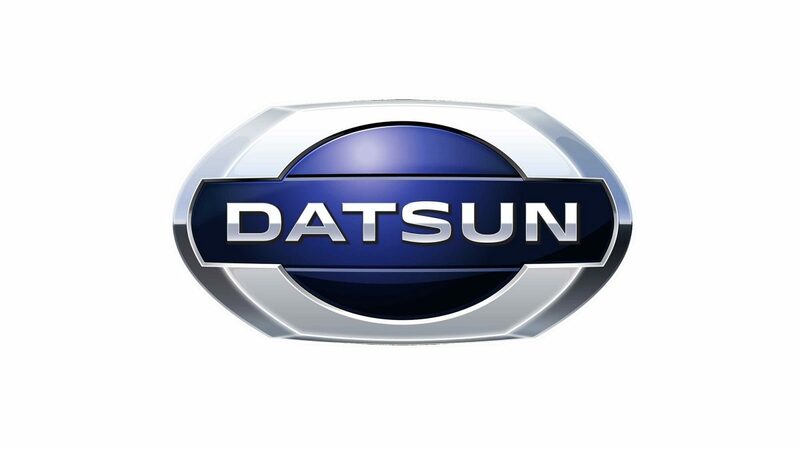 Nissan announces in March the return of the Datsun brand. On July 15, the new Datsun is revealed in India.